If your basement floods, there’s a good chance that your sump pump is in need of repair. When it rains or snows, sometimes ground water can make its way into your basement. When this occurs, your sump pump siphons the water out of your basement. If the sump pump is broken or malfunctioning, the water will continue to pool in the basement—a problem that, if left untreated, can threaten the structural integrity of your basement foundation, not to mention making your basement uninhabitable by causing mold growth and ruining any stored items or furniture. 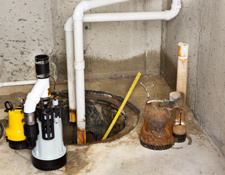 If you notice water in your basement, a malfunctioning sump pump is a likely culprit. In order to determine this for certain, call on a Sears Handyman to inspect your sump pump for problems. Once on the job, a Sears Handyman technician can assess the problem and determine if the sump pump needs repaired or cleaned. Depending on the circumstances, the technician will either repair your existing sump pump or advise that you purchase a new one, which the technician can install. While most new homes with a basement will feature a sump pump, some older homes may not have one installed, or they may need a new sump pump installed in place of a faulty or inoperable one. Installing a sump pump from scratch is a fairly complicated process. 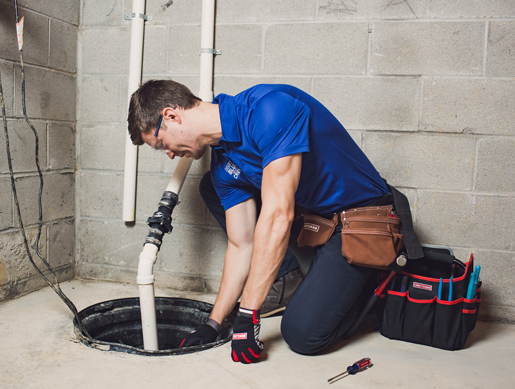 Sump pump installation involves cutting or digging a hole in the basement for the pump to rest in, running pipe from the pump out into a drainage system, and ensuring that the sump pump operates as it should when needed. Many homeowners find that they need assistance with installing a sump pump due to the technicality and precision of the work involved. If you need help installing a sump pump correctly, give a Sears Handyman technician a call today. Our professional handyman can inspect your basement, discuss options for sump pump installation, and perform the installation correctly. Once your sump pump is in place, you’re much less likely to encounter basement flooding that can ruin your possessions or jeopardize the structural integrity of your home.